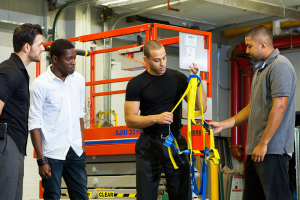 This course is designed for anyone already using as a part of their job, or is new to the use of fall protection equipment. In this program we will be discussing what fall protection is, the components of a fall protection system as well as the inspection and proper use. The practical component of this course will vary depending on the customers use and whether the training is being done at Liftow or at the customer site. Upon successful completion of this program a wall certificate and all necessary paperwork for company records for each participant will be issued as proof of training.